The zippy Snapdragon 800 pushes pixels beautifully on gadgets like the Nexus 5 and the Kindle Fire HDX, but now there's a new kid on the block. Qualcomm just announced its Snapdragon 805 complete with 4K powers, and it's coming to devices starting next year. The Snapdragon 805 has a quad-core Krait 450 CPU, and pushes each of those cores up to 2.5 GHz, faster than any other Qualcomm chip ever. 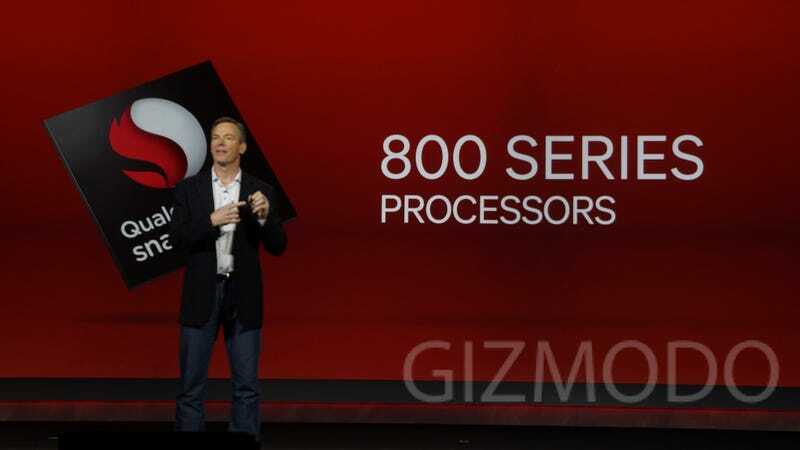 The 805 also has a new GPU, the Adreno 420, which Qualcomm claims is some 40 percent faster than the 800. That should offer enough power that 805 devices—whether they're phones or TVs—can handle system-level 4K resolutions, as well as 4K video capture and playback. 4k all day.